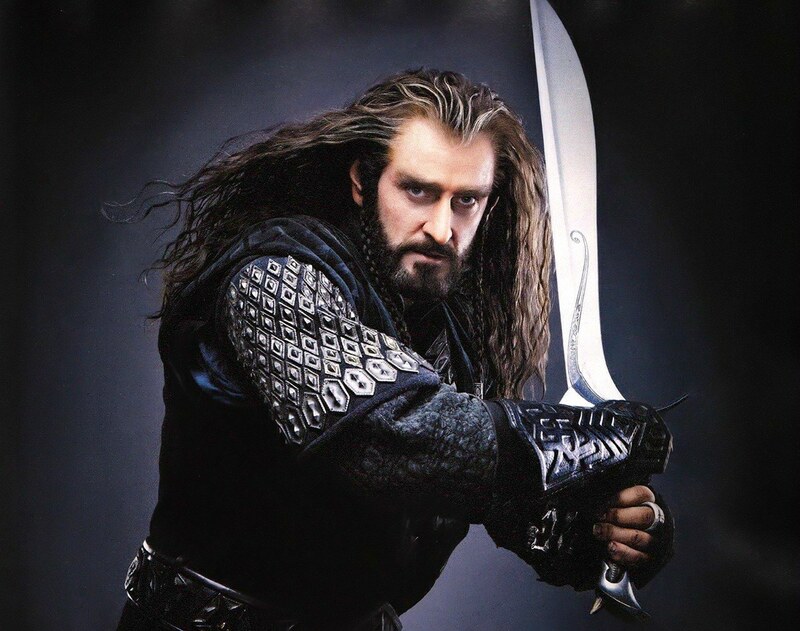 Are You The Thorin Oakenshield of Agile Transformations? The King Under the Mountain ....and Agile Transformations? I have formed a kinship with this dwarf, this King Under The Mountain. His journey and mine throughout my coaching of various companies bear a striking resemblance. 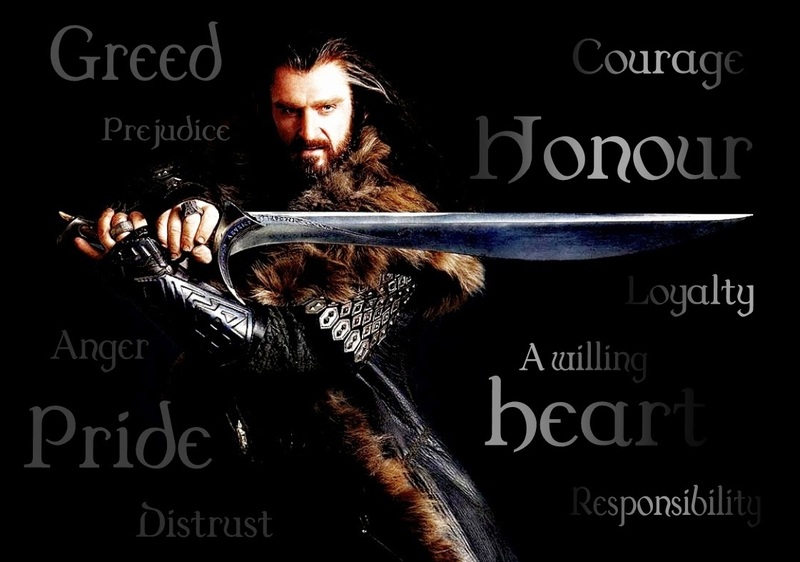 Identifying with Thorin came as a surprise to me. After all, I'm a pretty happy, positive guy, and Thorin is not. He is a grumpy dwarf, quite unlikable, self-important, grudge-bearing, and generally dour. Use The Stuff Around You - Thorin was up against a much larger opponent in both size and physicality. After all, orcs always outnumber their opponents. Otherwise, how would they ever win considering the .02 Kill Death Ratio they suffer. The equipment he was given (tools) were insufficient to take down Azog the Defiler. So what does Thorin do? He uses what he's got - a piece of wood and a sword off the ground. We Agilists will pickup any little scrap to get our sprints tracked and out the door. Can you say sticky notes on a white board? keep the tool simple, especially in the beginning. Keep Your Sponsor Close - Thorin keeps getting redirected. Initially you may think his opposition to elves is just him being difficult. I mean, who can hate elves? So Gandalf sends them on a side mission - to the ridiculous tangle of Mirkwood Forest. Worse yet, he has the gall to leave. Tell me, Agilists, that you haven't seen this behavior before. Someone who claims to have your back and right at the most critical time he or she is gone, and that Agile sponsor is on his horse as fast as you can say Shadowfax. Usually if your sponsor fades away its tough to get them back. "Oh hey, yah, its nice to hear from you Thorin. Look, I got a call. Set up a 1:1 with me for next week," says Executive Gandalf. Agilist learning? Keep your sponsor engaged. Make sure you're doing things that he or she care about, something with a high enough priority to keep them next to you in the dark forests of your company. Get On the Balcony - Next we find our poor, intrepid dwarves are working in here trying to get through Mirkwood Forest (their next release or Agile achievement), but they get all confused and demoralized by the darkly enchanted Mirkwood Forest. They stall, having walked in circles, only then to be wrapped up by giant spiders ( project risks and pitfalls) and almost at death's door. Their opponents show up, and they are basically arrested (auditors?). This would be like have your project hit a bump, say fail a release and then having the an audit team coming in to "help you out", complete with "corrective action plans" and coaching so you can get back on track. Agile takeaway? Get someone out of the trees so they can see the forest. Get the big picture. 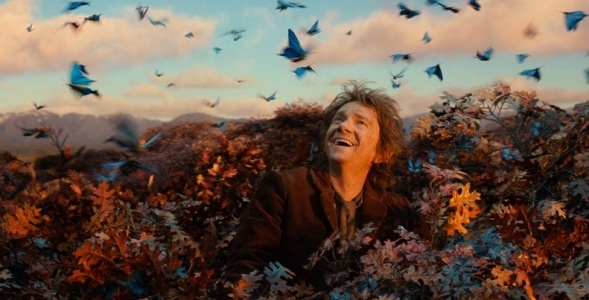 If they would have gotten Bilbo up on that tree sooner, they could have gotten by those risks and delays sooner. Working from home, a different office, or going to a conference/training helps break the spell of the day-to-day and see problems in a different way. See The Forest - and Butterflies. 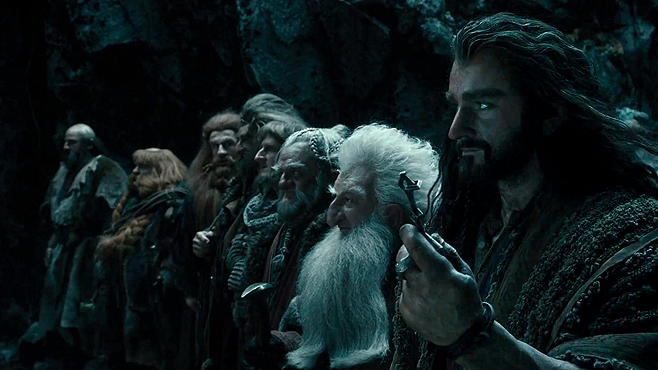 Get Out of the Way - That wasn't the first time Thorin almost got shut down by the Elvish State. They had to sneak out of Rivendell or the whole establishment ( Saurmon the Questioning, Galadriel who isn't really tuned in, and the Elf King who seems too cautious. When have we not seen that, dear Agilists?) The only thing Gandalf does right here is let them escape. Agile learning? If you're a leader/manager, sometime the best thing you can do is cover for your team while they do the Agile thing. Permitting pilots, agile training events, and Agile spikes are examples of this kind of support. Keep the Big Picture in Mind - By reputation the wood elves are more selfish and violent than the high elves, so its no surprise that Thorin isn't a big fan, and during some high level negotiations with their king he sorta blows his top and gets sent to prison. This delayed the whole journey. But he let his emotions get to him, which is a good antipattern for us agilists to avoid? Make the deal. Instead, they get thrown in prison. Don't Wait - Eventually, Thorin and the team finally gets to the Mountain, the place that they can rightfully call their home, all without Gandalf who is on some other higher priority project. Yet. Gandalf the Grey told these little dudes "Don't go in the mountain without me" Bilbo reminds Thorin of this, who summarily tells the hobbit that we don’t wait for wizards. It’s a good thing, since Gandalf had by that time gotten into so much hot water there was no way he was going to make it. Those little guys would have died of old age sitting on that hill waiting for him, and never communicated back to them that he would not be coming to their aid. No, Gandalf abandoned these Dwarves because another executive asked him to, namely, Radagast. Yes, a man with bird poop on his head redirected our hapless executive to abandon his team to certain death. How many times do you think this has played out in board rooms across America? "Well, I was supposed to be kicking off this agile transformation project, but that bird poo guy has a point. That CMMI audit looks awfully compelling. and those agile guys, they can take down that dragon......easy....right...?" The agile take away here, for me, is don't wait, 'cause the Wizard isn't coming. The training and coaching I do always frames this in words such as start fast and fail fast, Sprint 0, or something like that. The odds are that if you reach your mountain conditions won't be perfect. You have the key. Things aren't perfect. Go anyway. Do Your Job - The New England Patriots slogan applies here too. Through excellent team work and using their distinct talents, this cross functional team of dwarves successfully tossed Smaug out of the mountain. Unfortunately, that wasn't the right mission. They needed to kill the dragon, not just chase him off. We all know what happens next: Smaug runs off, all golden and fiery, and heads off to destroy a hapless nearby town . What's the Agile message here? Well, there are two. First, make sure you're really executing on the priority mission. Tight relationships with your product owners and product managers and a clean backlog is a sign your dev effort has coherence with the business. Secondly, don't make it worse for the other teams by doing bad agile. The dwarves were messy - they had no plan going in, other than sacrificing Bilbo. They made a terrible mess of the place and spilled alot of gold in the process. Worst of all, they made a dragon mad. Don't make the dragon mad. In Agile transformations that can be other teams or other management chains ( Operations? Marketing? Sales? ). Find a way to get them on your team. Otherwise, by failing to accomplish the real goal and not having a plan they sent the whole mission to risk. Now no one cares about you and your mountain. Bad Agile gives the framework a bad name when it fails and now the dragon ( angry exec/manager) is going on a rampage - I AM FIRE! Trust Is First - Thorin ultimately falls to the dark magic that imbued the gold ( this is why Gandalf said to wait) and becomes a tyrant. He becomes isolated, greedy, and overly protective of his turf. This I have seen too, and perhaps have exhibited it on occasion. Even a modicum of success can lead to stagnation - people hanker down, stop taking risks, and worse of all stop trusting their team and mentors. My final take away is this - trust your team, trust your business, trust your leadership. Trust the people who are in your camp. They want you to succeed, because they succeed too. Even Gandalf eventually showed up and tried his best to save them, but it took a personal crisis to shake Thorin back to his senses and, as you certainly know, the day is saved, but he pays a big price that he might not have had to. So, Agilists, be less stubborn, try to always improve, and keep trying new things. As I pondered this I found that I sometimes identified with others in the story beyond Thorin Oakenshield. Sometimes I was Gandalf, seeing the big picture and wondering why no one else did. Other times I was like Bilbo and wondering if I should be on this journey at all. Regardless of where I aligned myself, I realized that being all of the above at the right times is what is important. You need to be as adaptable as a hobbit, have the clear focus and skill of a wizard, and the stubbornness of a dwarf who would be King Under the Mountain. The trick and art is all knowing when to tap into these archetypes. So, intrepid Agilists, which characters do you see yourself in? Please comment below!